Camp New Hampshire had the the chance to talk to Carole about camping at Scenic View Campground. She also gave us some insights on popular activities such as hiking on their great trails or spending some time with the family in their heated pool. Sitting by the river as it gently flows by. If I am lucky, I will see a Blue Heron or ducks paddling gently down the river. I would stay in one of our new cabins. They are air-conditioned and heated and they border a gentle stream. They are very cozy and people love them. How long has Scenic View Campground been there and how did it get it’s start? We have owned Scenic View for 12 years, bringing it from a two star rating to a four star. Scenic View had been an existing campground for about 15 years before that. It was started as a small place for fishermen and hunters and has grown to 97 sites. What are the most popular activities in the campground for your guests? Our guests come here to relax and enjoy what the beautiful White Mountains have to offer. Plentiful fishing on site and in the area. Hiking is huge here so we get a lot of hikers passing through. We are a family campground so our most popular activity is our heated pool and splash pad. Families love to hang out there all day. Where is your business located? What are some other attractions in the area worth checking out? 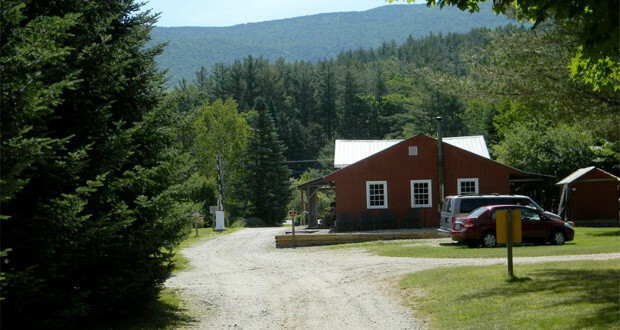 Scenic View Campground is located within the White Mountain National Forest, the closest town is Warren. We have a lot of attractions within an hour. The town of Lincoln is nearby offering hiking, a waterpark, mini-golf, Clark’s famous trained bears and some great restaurants. The Mount Washington Auto Road is a little further, you can drive to the top to see some spectacular views. Many beautiful lakes in the area make boating popular. You just might see our awesome Moose in your travels, an amazing sight. Many other attractions too numerous to add. Which of those attractions is your favorite and why? My favorite attractions are Clark’s Trading Post, Santa’s Village and Squam Lakes Natural Wildlife Area. Clark’s is a great place to go to see live bears perform some amazing tricks. You can take a segway ride or jump on the bumper boats. The best part is taking a train ride as “”Wolfman”” attacks your train, kids and adults love it. Santa’s Village is great for families, Santa is in residence. His reindeer are also there and love to be fed. Many amusement rides all Christmas themed and a great waterpark. All ages love Santa’s Village. Squam Lakes is a beautiful walk through animals in their natural habitat, bobcat, deer, birds etc. Very wel maintained and clean, a great family activity. They also have a lake cruise. Our campsites are mostly open, large, level grassy sites in most cases. We offer water, electric, sewer, cable on some sites and free wi-fi throughout the park. We have a small tent area and a primitive area that you can’t drive to, you lug your gear in. Those are our most private and campers love them. We have sites that are waterfront that are very popular. We have one Rustic cabin and we have added two Deluxe cabins in the last year.